According to the science of Ayurveda, bad breathe is caused by excessive heat in the stomach. Fresh cucumbers are a cooling food which means it can alleviate the issue. The extra water in a cucumber plus the crunchiness allows it to increase salivation which in turn strips odor-causing bacteria from the mouth. Cucumbers contains fisetin, which is an anti-inflammatory flavonol. It helps keep the brain younger and healthier. There studies that actually suggest that they can help with Alzheimer’s by helping the patients to maintain their cognitive function for much longer. High fiber and low calorie foods are one the best way to you curb hunger and be able to maintain a healthy weight. 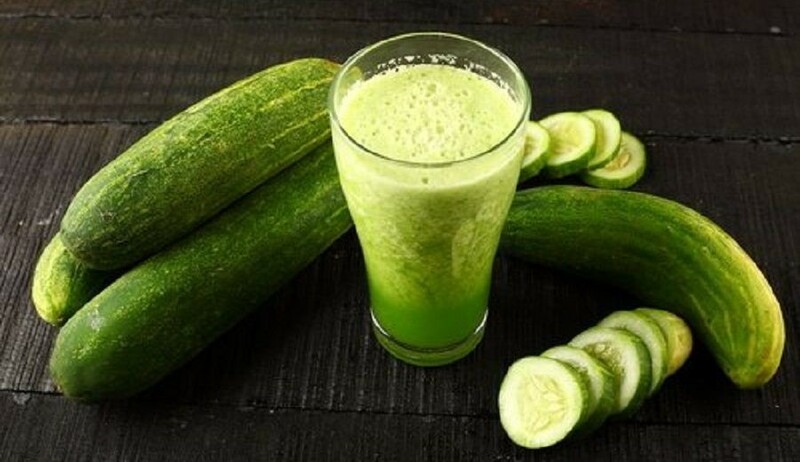 A cup of cucumber contains about 20 calories or less. This makes cucumbers a low calories snack. However, whenever we reach for a snack, its not because we are hungry because we want the texture. Cucumbers make perfect snacks because they have a great crunchy texture and it will easily satisfy any cravings without adding extra calories. Cucumbers have a great amount of nutritional benefits. A single cucumber has Vitamin A, B-6, and C. it also has calcium and magnesium. With cucumber water, you will be drinking all these nutrients in a glass. Dehydration often causes sluggishness and overeating. You need water to feel good especially in the summer heat. 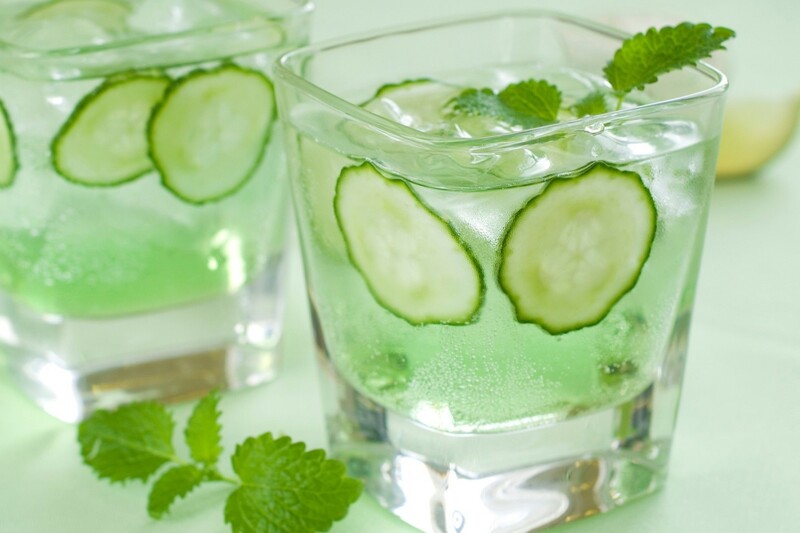 Cucumber water will help give your water intake a boost. The water is so refreshing and gives you a reason to enjoy the summer heat. Cucumber, like other super foods, it contains antioxidants. Beta-carotene and Vitamin C are the antioxidants contained in cucumbers, cucumber water will naturally flush out toxins from your body. When cucumbers are not grown organically, they can be one of the most contaminated type of produce. For the cucumber water, make sure you opt and use the organically grown cucumbers for you to be able reduce any risk of carcinogen exposure. In America, heart disease is the number one killer. If you want to maintain a healthy lifestyle, then you need to make sure you eat a produce-rich diet. If you want to pave way for a heart-healthy life, add potassium-laden cucumbers to your daily diet. Cucumbers contain silica which helps prevent acne and other skin conditions. There is a reason people put cucumber slices over their eyes so they gain the full benefits of cucumber slice. You should do the same by taking cucumber water. One habit influences another, so by taking cucumber water you will also be paving way for other healthier behaviors as well. For instance, you may find yourself upping your leafy green intake, avoiding sugary drinks, and other healthier habit in favor of healthier options. Cucumber water therefore has the ability to change your mind-set. Seeing that cucumbers have a great amount of nutritional value, you will be able to improve your bone and muscle health. A single cucumber has Vitamin A, B-6, and Vitamin C, as well as calcium and magnesium. They are also rich in Vitamin K which tends to do a lot for our bodies. It helps strengthen your bones and also helps with blood clots. Lack of Vitamin K may lead to heart conditions and osteoporosis. Cucumbers also contain a trace mineral referred to as silica that helps the body absorb calcium. Lack of enough silica in the body can make your connective tissue and bones weaker over a period of time. Help with digestive disorders like gastritis, heartburn, and ulcers. Drinking cucumber water daily may cure these disorders. The good news is that making cucumber water is not a hassle at all. 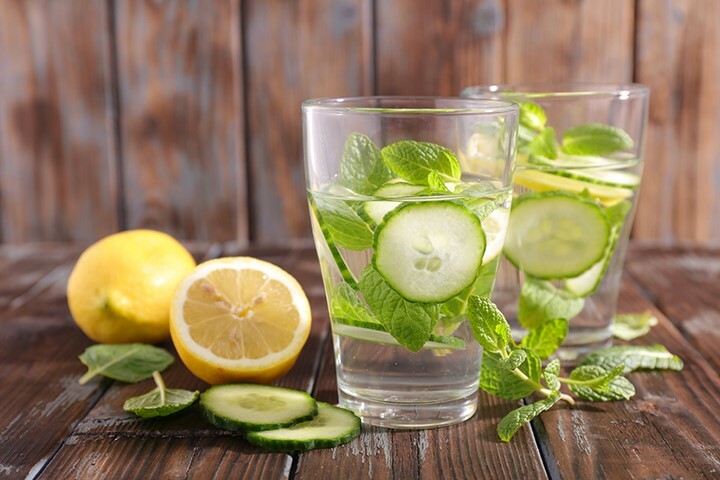 All you need to do is get filtered water, get your cucumber and slice it, add it to the water and leave it to infuse. 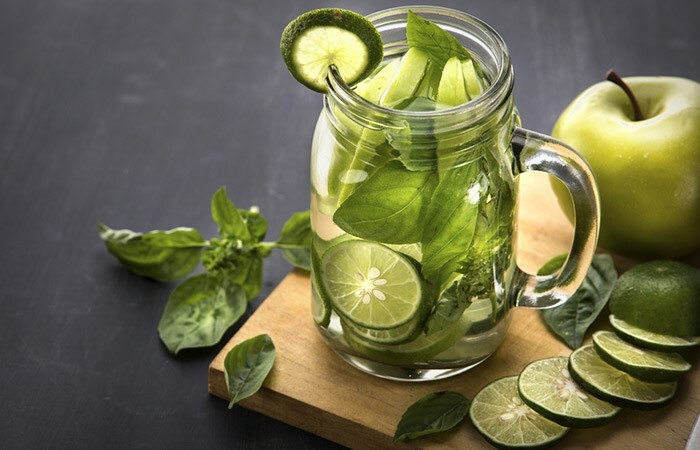 You can also add lemons, pineapples, oranges, mint leaves, or even spices you want to make the water bearable to make. The amount of cucumber you use is influenced by the amount of water you intend to infuse. Our favorite is cucumber lime water. 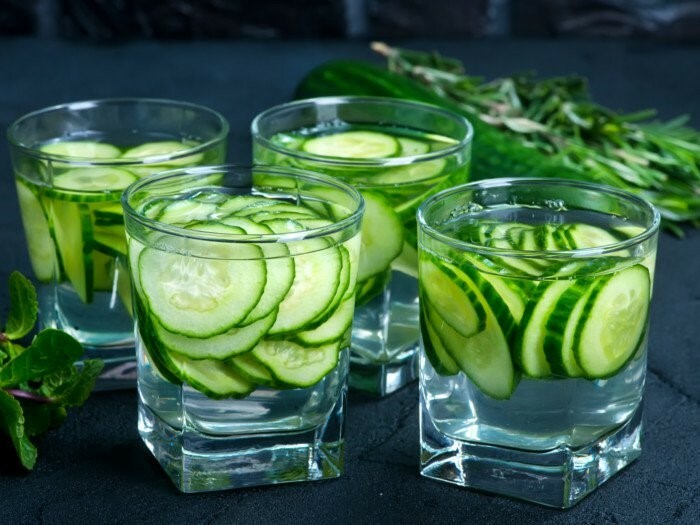 It is a great option if you want to add a little life to the cucumber water. All you need is filtered water, one cucumber sliced to your liking, half lime thinly sliced, and ice. Take the ingredients and place them in a drinking vessel and then infuse with water to get your vitamin K boost and quench your thirst.